If you want to help make the world a better place, you might consider becoming an advocate. While advocacy groups sometimes resort to attacks and demonstrations, the Coalition has thus far achieved progress through education, friendships, and partnerships, seeking to find common grounds for collaboration. And if that is path you choose, learn from a master of advocacy, Susan Bonner. Susan is the model advocate, she is the friend and partner of the tenants she represents, a friend and partner of leaders of other advocacy organizations, and the friend and partner of legislators. Susan is widely respected for her knowledge and hard work on behalf of public housing. She is Legislative Chair of the Mass Union of Public Housing Tenants (MUPHT), the "Mass Union." Bonner has been one of our partners, guides, and mentors as we seek to represent the bullying problem on behalf of all tenants in subsidized and public housing, including Mass Union tenants. 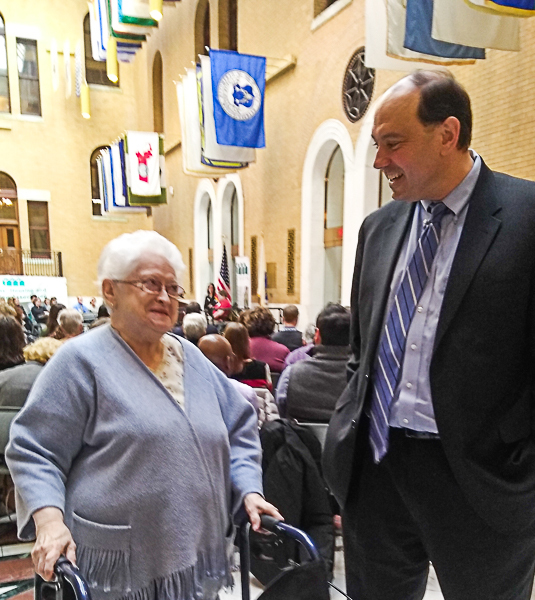 As a board member of Mass Union, she is in touch with tenants all over the Commonwealth. Susan lives in Nahant Public Housing, serves as a Commissioner on the Nahant housing board; and served on Governor Patrick's Commission to Study Public Housing Sustainability and Reform (2012). She knows from decades of experience about the laws, regulations, and administrative procedures that govern public housing. 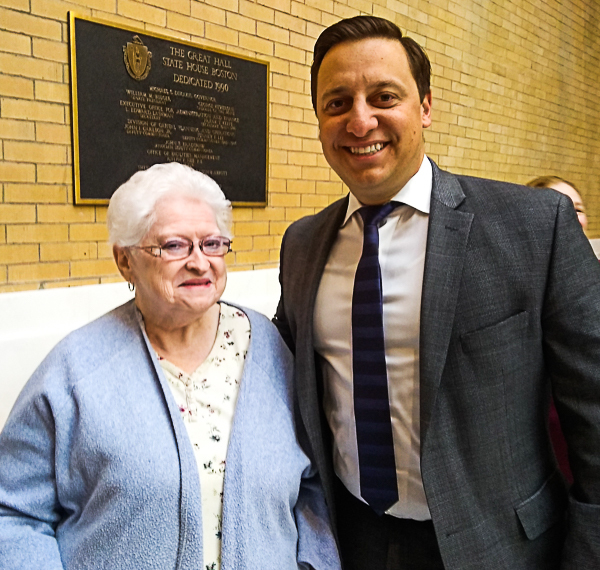 But her greatest asset is that she enjoys people, and her idea of fun is to go up to Beacon Hill and hang out with her friends, the legislators and their aides. 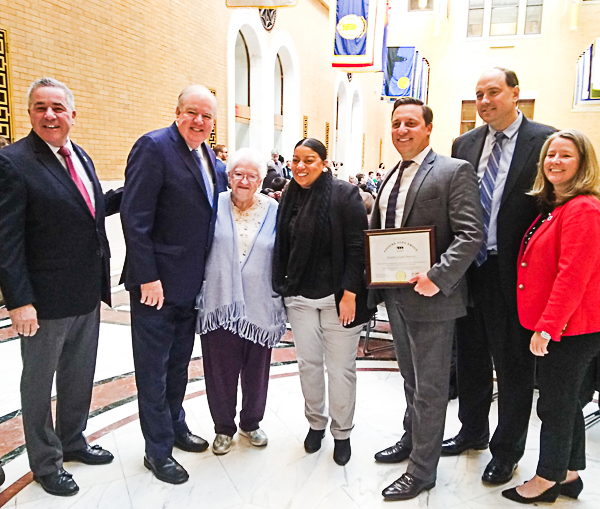 Indeed, when she appeared at the Housing Day at the State House on March 11, 2019, a gathering in the Great Hall sponsored by the Citizens' Housing & Planning Association (CHAPA), legislators treated her like a celebrity---or perhaps more accurately, as a best friend or favorite relative. We watched as Susan worked the room at the Great Hall. 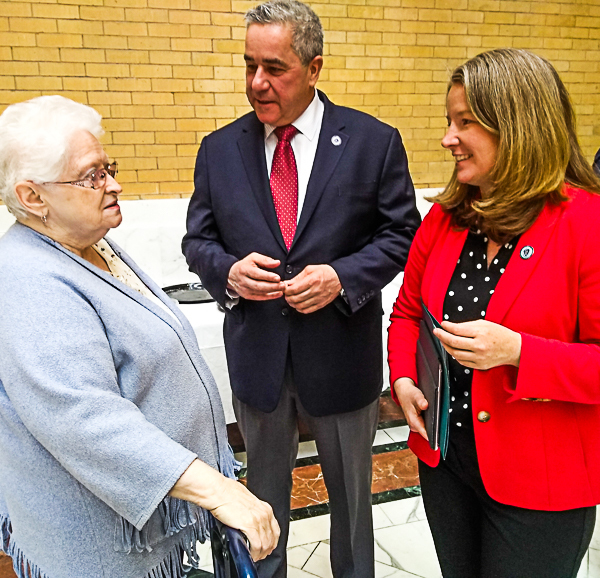 Exhausted by the effort but exhilarated by the contacts with so many of her friends, Bonner said, "I always have a great time at the State House. It is so much fun." 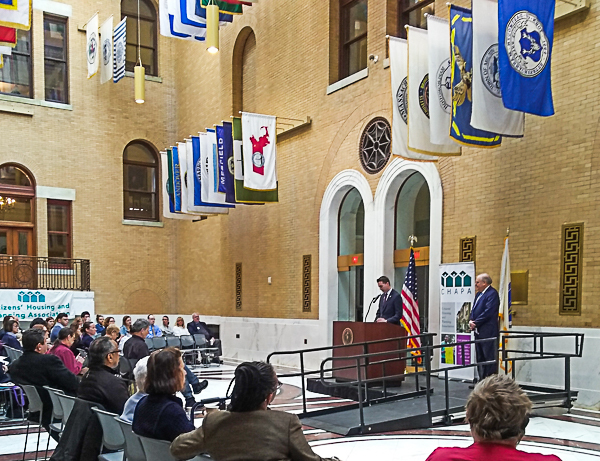 Lest you think that a few hundred people came to the Great Hall just to see Susan, the Housing Day event was sponsored by CHAPA to advocate for legislation and resources to produce, preserve, and plan for more affordable housing in Massachusetts. 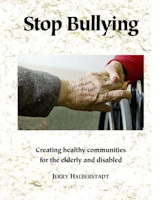 The Stop Bullying Coalition was there to support that advocacy. Finally, if you need to build a coalition for advocacy, there is no better guide and partner than Rachel Heller and the CHAPA organization. They do great work to improve housing opportunities for all.